Unless you’ve been living with your head under a bucket, you’ve heard about or participated in the Ice Bucket Challenge — an effort to raise money for ALS research by dousing cold water on yourself and/or donating $100. The success of the viral marketing campaign will not be complete, however, without a more thorough understanding of amyotrophic lateral sclerosis, a disease that afflicts 30,000 Americans and kills up to 6,000 people every year. Here are some of the most prominent myths. There is no reliable data to suggest that ALS is started by an infection or transmitted by patients to others. In fact, in about 90 percent of cases diagnosed by neurologists, ALS happens out of the blue, what we call “sporadic,” and the cause isn’t known. About 10 percent of the time, ALS is inherited through a defective gene; that is, a patient has a family member who also had the disease. Very recently, we learned that even in patients who have no family history of ALS, a gene defect known as C9orf72 can cause the disease. With a simple blood test, we can determine if a patient carries one of the genes that causes ALS. This is a long-standing myth held by physicians and patients: that ALS patients’ minds remain sharp as their bodies deteriorate. But newer studies show that about 20 percent to 30 percent of patients develop a mild cognitive impairment, while a very small number, about 5 to 10 percent, get severe dementia. Generally ALS begins in a fairly nonspecific way, with weakness in a person’s hand or foot. It is often initially diagnosed incorrectly as carpal tunnel syndrome, or a pinched nerve in the neck or back. But unlike those conditions, ALS is generally not painful. Slowly, over months or in some cases years, the weakness progresses from one hand to the other, from one foot and leg to the others. Eventually it affects all limbs, as well as the muscles used to chew, swallow and breathe. It’s the weakness or failure of the breathing muscles that makes ALS fatal. And that’s the particularly devastating part of the disease; unlike cancer, with its rare but real remissions, ALS is always fatal. Patients might choose to have a ventilator artificially breathe for them. That delays death, but not the progressive weakening and paralysis of all muscles. 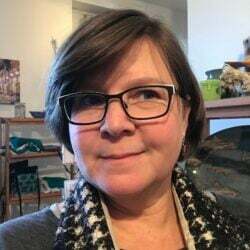 This idea comes from the observation that older people get degenerative diseases such as ALS, Alzheimer’s and Parkinson’s, and those who become the public faces of the disease are typically older. But the median age for the onset of ALS is 54 — and I don’t think that’s old. Lou Gehrig was diagnosed in his mid-30s and passed away from ALS at age 38. We don’t know if this is true for all sports. Some data suggest that football players are at higher risk to develop ALS, but more research needs to be done to see how widespread that risk is for other contact sports. A number of prominent young athletes have had ALS, starting with Gehrig. And Steve Gleason, formerly a defensive back with the New Orleans Saints, has wonderfully shown how patients can fight the disease, using various tools to help them communicate when their vocal muscles start to fail, while they await better therapies to stop or reverse the disease. He’s also done the Ice Bucket Challenge — naked. There is incomplete research suggesting that a career in professional sports may increase a person’s likelihood of getting ALS, possibly because of trauma to athletes’ nervous systems. But most others who get the disease are relatively inactive. Some have thought that exercise makes ALS worse, but as best as neurologists can tell, muscle activity will not worsen the disease. In fact, an ongoing study at the Johns Hopkins ALS clinic is trying to determine if regular, simple exercise can slow the progression of ALS. For some patients, exercise can make them very tired, very quickly, but there is no good evidence that exercise speeds up the disease. This idea stems from the fact that we have so few drugs that slow the progression of ALS. Only one FDA-approved drug, riluzole, approved in 1995, exists for ALS — and it reins in the disease only modestly. Since then, there have been many clinical trials of medications designed to slow ALS, but all have failed, in part because of incomplete understanding of the disease. The Ice Bucket Challenge has been criticized as a waste of water and money. And some have questioned whether ALS deserves this much attention. 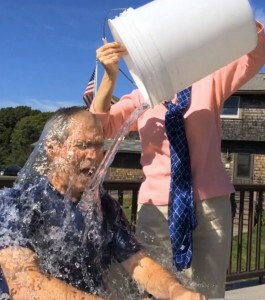 But from my viewpoint — and that of many of my patients — the Ice Bucket Challenge could be the right step to a better understanding of ALS and better treatment. I took the challenge — and challenged other companies, universities, and even the U.S. government and the NIH to take it as well. Jeffrey D. Rothstein, a neurologist and professor at Johns Hopkins University, is the director of the university’s Brain Science Institute, ALS clinic and Robert Packard Center for ALS Research. This column was distributed by The Washington Post, where it first appeared.